… a place where everyone is welcome to a new experience in African Methodism. … a perfect blend of the traditions of the church with the freedoms of Praise. We have a reason to SHOUT!!!! Click here for more Church Announcements. The church office is open Tuesday through Friday from 8:30am to 4:00pm. If you'd like to make an announcement in the church bulletin or during service, please submit your announcement requests by 12pm on Tuesdays. Click here to submit online. No prior arrangements are required! "Be glad in the Lord and rejoice you righteous; And shout for joy, all you upright in heart!" 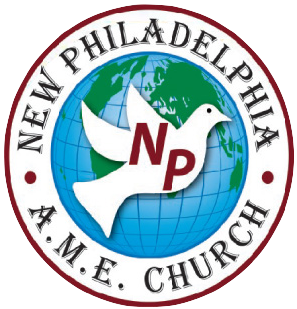 New Philadelphia AME Church does not own any rights to this song.